It is also one of the most popular vacation destinations in the country. 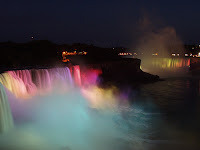 People come from all over the world to see Niagara Falls (or simply the Falls as they are sometimes referred) to. They are one of the natural wonders of the world. One look at the mesmerizing and cascading waters and you will know why. Both the sight and the thunderous sound of the water falling will bring you under the spell of these magical falls found in central Canada. 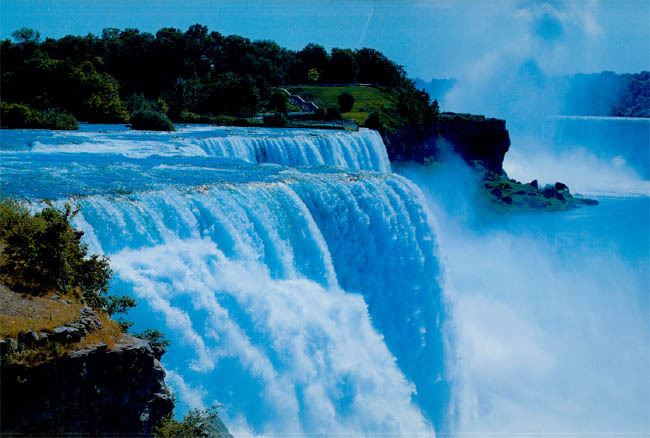 Niagara Falls is also the largest waterfall (by volume) in North America. 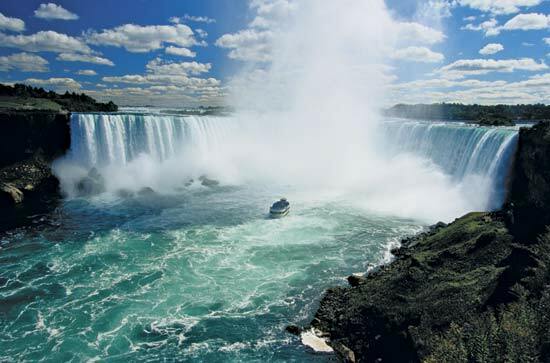 The falls actually consists of three separate components - Horseshoe Falls, American Falls, and Bridal Veil Falls. Combined, the falls has an average discharge of a mind boggling over 7000 cubic meters per second. Over 90% of the volume is over the Horseshoe Falls. The falls contributes a large amount of hydroelectric power to the power grid in the Eastern US and Canada. In fact, there's a statue of Nikola Tesla at the falls, who was the first to successfully turn the energy of falling water from Niagara Falls into electricity that was distributed for private and industrial use. Though hydroelectricity has been controversial in terms of the environment (and especially a bane for waterfalling), there's no denying the critical role it has played in allowing certain cities (and even whole economies) to be built up and thrive. 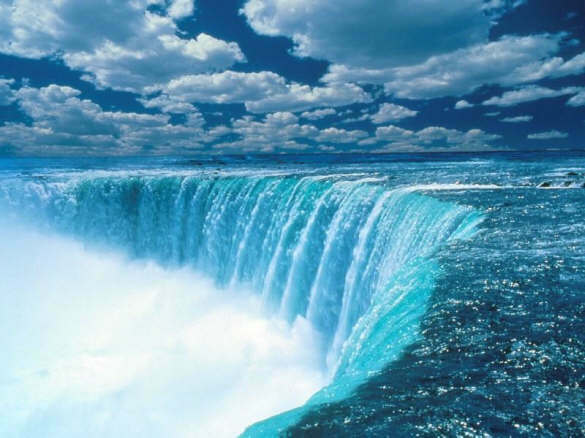 The human intervention has also meant the flow of the Niagara River has been regulated in a way that actually slows down the erosion of the falls and improves flood control.